zmescience.com – The surviving fragments of planet orbiting a white dwarf have been found by a team of astronomers. Source: Christopher J. Manser, et al. 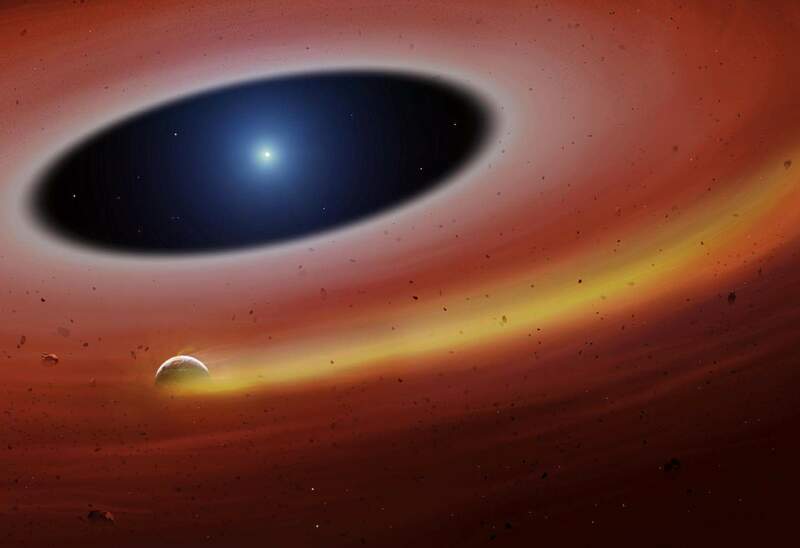 A planetesimal orbiting within the debris disc around a white dwarf star. Science, 2019.